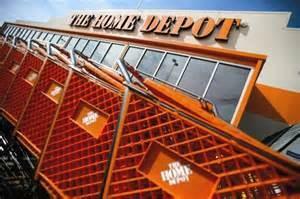 Home Depot (HD) management has done a good job generating earnings growth from little or no store expansion in the past five years, said Brian Gilmartin, portfolio manager at Trinity Asset Management. Since January 2008, Home Depot has added only about 20 new stores; however, earnings growth since then is up 35 percent--driven by operating margin gains from reduced store expenses and better cash flow from lower capex spending. Gilmartin said Home Depot’s self-checkouts helped keep a lid on expenses. Gilmartin told “Big Data Download” that Home Depot is well positioned for the housing rebound. The company is doing a better job with merchandising and selling more big-ticket items, which at Home Depot is anything priced above $900. In the past three consecutive quarters, these sales have almost tripled. Gilmartin said big-ticket items spell consumer confidence, because people are investing in their homes. According to Gilmartin, Home Depot went through a 12-year bear market, but in the past two years shares have taken off, rising more than 164 percent. At this point, Gilmartin said to wait for a pullback before buying shares. Gilmartin personally owns Lowe's and Home Depot.